We’d love your help. Let us know what’s wrong with this preview of The Bees by D.C. Swain. With a whimsical story and crisp, original illustrations, this is a story your children will want to read again and again. To ask other readers questions about The Bees, please sign up. Some of the pictures are full pages, while others are only part of the page. It felt unique seeing the different styles, and I think it worked and didn't feel out of place. One page was the written words while the next was the complimenting picture. I think the bees were really cute and really well drawn. There is a rhyming scheme that works really we This story is full of soft, warm colours that was really nice on the eyes. The colours really complimented the sweet material written by D.C. Swain. I'd definitely recommend picking this book up as a spring or summer read for the kidlets! It's cute, fun and full of pretty pictures! It would be especially nice for those kids that are scared of bees or animals. It's a definite children's must read from this reviewer! Sweet little children's story about bees. The words had a rhyming style that made me want to sing it and the pictures were cute. This is a simple but sweet story about honey bees for small children. The illustrations are colorful and cute and the verses are rhyming. It can be a learning tool to explain to young children how bees are beneficial to flowers and pollination. Adorable. ^_^ Sweet, simple story of some bees, told in rhyme, with cuddle-able drawings of positively ADORBZ bees! Cute little story about the beea with really nice illustrations. Written in rhymes makes for a quicker read. Can recommend this for smaller kids. A beautiful little picture book in rhythm and rhyme. All about bees collecting honey and having a jolly good time. Wish I learned more about the bees. Sweet book, really cute illustrations and a great introduction to how the bees work. This is one of the first children's books I've read on my kindle . Literally took me no time to get into. I really enjoyed the illustrations. A great story for children. for very young audiences. Not very educational but a great introduction to bees . Very cute illustrations and rhyme scheme. I chose this book because of the lovely cover art and because I adore children's books. This is a cute little story of the busy lives of bees. This can definitely be used as a stepping-stone to teach children how important bees are to our ecosystem. The book is rated for small children up to age 5 and as a parent, grandparent and former preschool teacher I'm certain it will entertain and hold the attention of little ones. The illustrations are gorgeous, colorful and whimsical. The book is written I chose this book because of the lovely cover art and because I adore children's books. This is a cute little story of the busy lives of bees. This can definitely be used as a stepping-stone to teach children how important bees are to our ecosystem. The book is rated for small children up to age 5 and as a parent, grandparent and former preschool teacher I'm certain it will entertain and hold the attention of little ones. The illustrations are gorgeous, colorful and whimsical. The book is written in rhyme and in my experience with small children this is always a hit. I would recommend this sweet book for anyone who wants to share a quick and adorable story of the life of bees with children. The Bees is an absolutely adorable rhyming book that put a smile on my face as I read it. The pictures are sweet, simple, remind me very much of Beatrix Potter, and honestly would look lovely framed for decoration. It follows and illustrates the daily routines of a particular hive of bees in their quest to make honey. The rhyming is well paced, well thought out, and matches the pictures quite perfectly. Just as the synopsis says, “this is a story your children will want to read again and again”! I The Bees is an absolutely adorable rhyming book that put a smile on my face as I read it. The pictures are sweet, simple, remind me very much of Beatrix Potter, and honestly would look lovely framed for decoration. I rate The Bees (Down in the Garden book 1) 5 out of 5 stars and recommend it highly! DC Swain has written a story that is easy to read, which will allow beginning readers to enjoy this story independently. The story gives the facts about honey bees in a fun way that children will enjoy and remember without realizing they are learning something. The illustrations are cute and colorful which will hold the youngest of readers attention. Teachers will enjoy this book as they can use it as an added resource when teaching about the life cycle and job of a honey bee. What a wonderful and exciting ebook about our bees' lives! 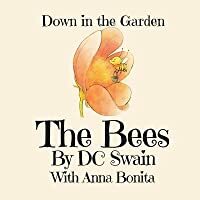 The Bees, Down in The Garden Book One by DC Swain I received a free kindle copy of The Bees, Down in The Garden Book One by DC Swain With Anna Bonita in an Amazon promotion in exchange for a fair review.I gave this cleverly written rhyming children's book five stars. My favorite little boy loved the illustrations that went with the bee's activities.I recommend this for parents, grandparents, beginning readers, librarians & teachers. This book is one of those fiction books that is right on the line with nonfiction. I could totally use this in preK or kindergarten to introduce the subject of bees. The book talks about a day in a honeybee hive, with workers going out to collect honey and also defending their hive from possible problems. The illustrations are great. I gave this book 4 stars in behalf of my 2 nieces. They will love reading it because is has beautiful illustrations. The reading is easy and fun, it also has some educational tidbits. Colorful children's book about how bees work, especially in the garden and why they are important. Story follows the bees throughout the day from the time they get up to the time they go to bed. 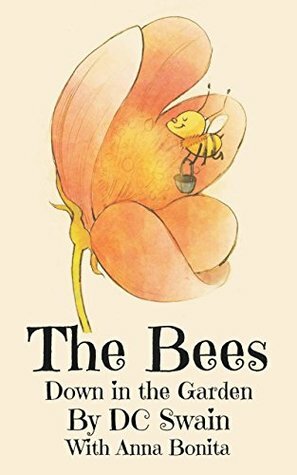 For the young toddler or child who is fascinated by nature, this story gives a sweet visual of what bees do using pretty watercolor artwork and rhyming verse. This story worked very well on my kindle with the artwork on one page followed by the verse on the next. Read this to my little cousin to calm her down a bit. It offers quite an enjoyable story and features several colourful pictures to the delight of the youngest. Very lovely, very lovely indeed. This is a cute picture book detailing the activities of bees and the illustrations are precious. I don't read many picture books, but I couldn't resist when I saw this in a BookBub email. At first I thought this book was too easy for my son but he loved this. The rhymes were just enough right before bed. I loved the illustrations of the book too. Would read to my son again. A cute intro to bees for the Pre-K ans kindergarten crowd with delightful illustrations. This is a sweet book. My 2 and 4 yr olds enjoyed it. The illustrations are adorable and it gives young kids a basic idea of bees gathering pollen to make honey. Some of the rhymes strain a bit, but the artwork is delightful. Cute little story and poem with beautiful illustrations that will capture your child's heart. Would love to read more from this author. 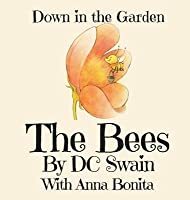 DC Swain is the author of several childrens books, including the popular Down in the Garden, How High Will It Fly? and Freddie Figg series. He believes in creating stories that keep children engaged, while teaching simple life lessons. He has collaborated with illustrators from around the globe and only publishes stories that get his daughters' seal of approval. He lives in a state of permanent chao DC Swain is the author of several childrens books, including the popular Down in the Garden, How High Will It Fly? and Freddie Figg series.